The 14 November 2016 North Canterbury magnitude 7.8 earthquake occurred two minutes after midnight. 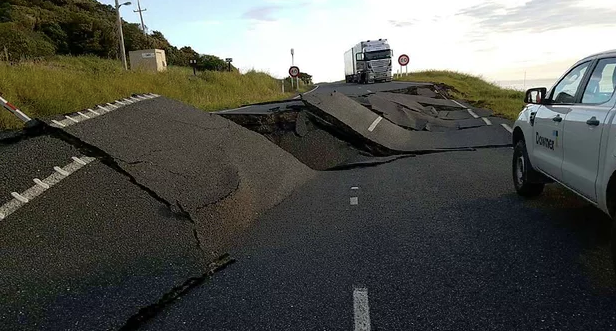 Lasting for more than 90 seconds, the quake started about 15 km NE of Culverden and 60 km SW of Kaikoura at a depth of 15 km. Sadly there were two deaths (Kaikoura and Mount Lyford). Experts put the quake as the second largest since European settlement. With relative earth movements of more than 10 metres substantial damage to road and rail links occurred along with breaks to underground services including the main Chorus north-south fibre optic link (note that an alternate path runs up the West Coast). LandSAR members from Canterbury and Marlborough volunteered. Don Geddes is the Emergency Management Officer with the Ashburton District Council and the Chair of Methven LandSAR. In Hurunui for his work, he was in a great position to understand the value that LandSAR personnel could offer and he organised them to take on a number of significant roles. These included: leading the operations section of the Emergency Operations Centre (EOC) for the Hurunui District Council; staffing Civil Defence sector posts in Mt Lyford and Waiau; carrying out door to door checks of hundreds of properties from the Hurunui River to Goose Bay and Ward to Seddon, and; running VHF radio communications caravans. The value of LandSAR and its personnel is growing as they demonstrate their capability to take on tasks from door knocking to management roles, adapting their skills and training to cope no matter the emergency. Christchurch AREC contacted their Blenheim branch immediately following the earthquakes but it was not until later in the week they were asked to assist. Fortuitously AREC’s Daniel Ayers (ZL1DFA) had booked a ‘quiet weekend’ in Waiau and was still there so was able to help provide communications to pass on a detailed situation report for the NZ Fire Service. Richard Smart (ZL4FZ) and Don MacDonald (ZL3DMC) also completed a 12 hour shift helping out in the Hurunui’s EOC. Despite media reports of ‘communications issues’ Spark had restored mobile service to Kaikoura at 1000 16 November while Vodafone still with some sites down was operational with the addition of temporary generators. Working closely with Chorus, Spark and Vodafone in a great show of cooperation were able to restore most broadband and landline services by 17 November sharing Vodafone’s undersea Aqualink fibre cable. As it happens this cable comes ashore in Kaikoura for a power feed and was made available by adding shore-based multiplex equipment at a Chorus telephone exchange handily located within 50 meters of the Vodafone fibre cable terminal. The deal included an arrangement for Vodafone access to the Chorus/Spark West Coast alternative route should a failure of the Aqualink occur. 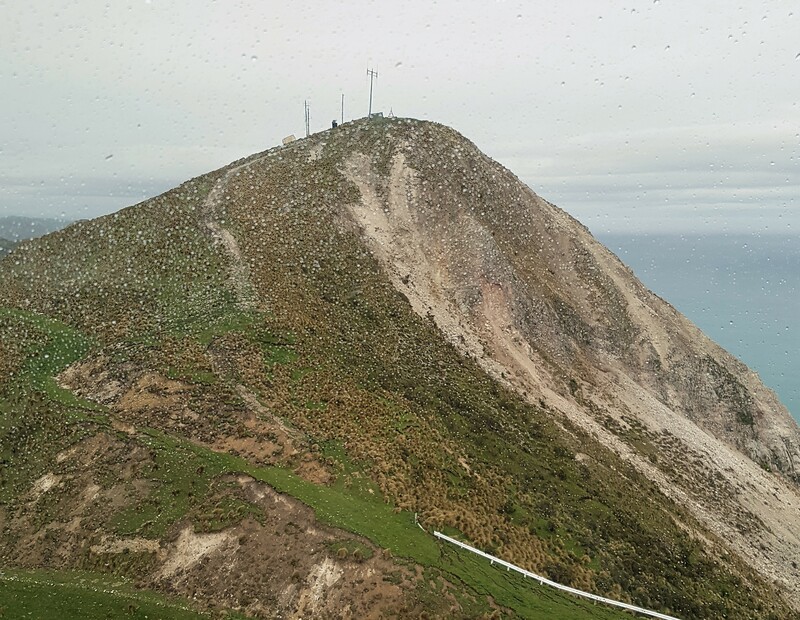 Spark modified coverage of its site on the Kaikoura peninsula boosting signals to cover downed cell sites in Karkorua. Spark also installed temporary microwave backhaul and generators by 23 November for the isolated sites. 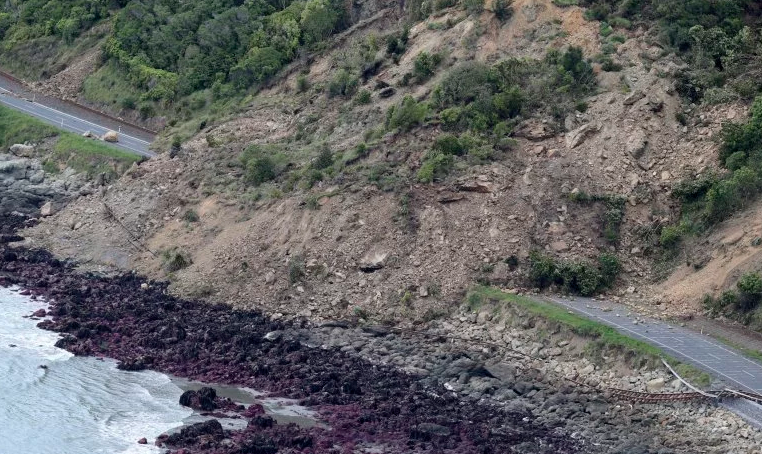 Quick restoration in Kaikoura was good news but this still left issues further inland. Vodafone had installed a temporary microwave backhaul by 15 November for Hundalee and Clarence, with a femtocell linked via satellite for Waiau by 22 November. Land mobile VHF/UHF radio sites used by emergency services were largely unaffected by the earthquake, although significant land movement threatens the Weld Cone repeater site as shown below.